Type of Apartment: Vacation Rental, Corporate Accommodation, Self Catering Apartment. The Nicolson apartments are a perfect solution to all your accommodation needs while in Edinburgh, providing a bright spacious, home away from home. 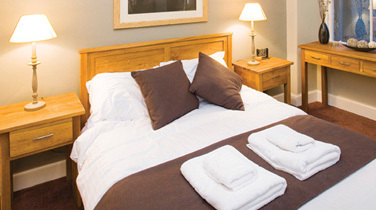 With many of the city's local attractions within walking distance these self catering apartments are only 10 minutes walk from the Royal Mile and 15 minutes from Edinburgh Waverley railway station & Princes Street. Our newest addition to the Nicolson Apartments complex has been completely refurbished and equipped to a very high standard. The interior design scheme makes for a luxurious and very comfortable apartment. With a spacious master bedroom, second double bedroom, well appointed bathroom, living room and kitchen, this luxury apartment is the perfect base to explore the historic Old Town of Edinburgh.